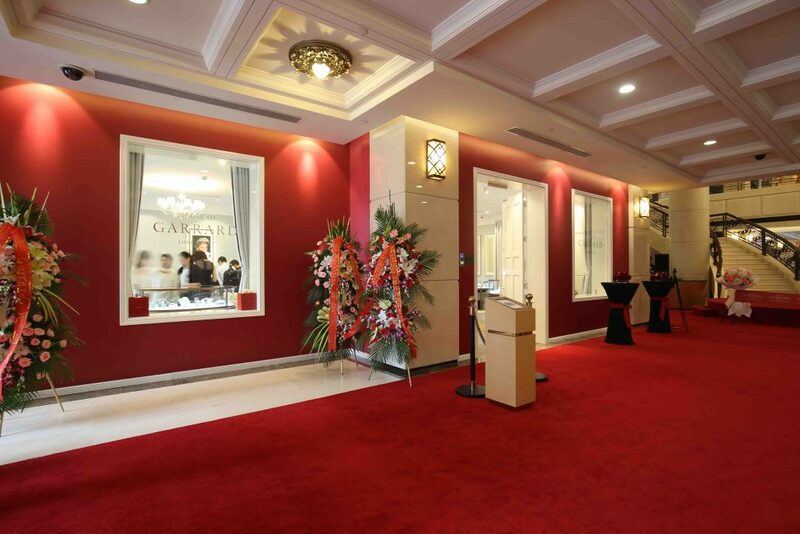 House of Garrard, the longest serving fine jeweller in the world, has opened its first boutique in Shanghai. Situated in the Bund district, the luxurious boutique is located in the longest Baroque-style building in China, built in 1911. This was also the year that the British home of Garrard was built in London, symbolising an important synergy between the two locations. To celebrate the launch of the boutique, Garrard has drawn inspiration from its heritage and created a selection of one-of-a-kind pieces, exclusive to Shanghai. 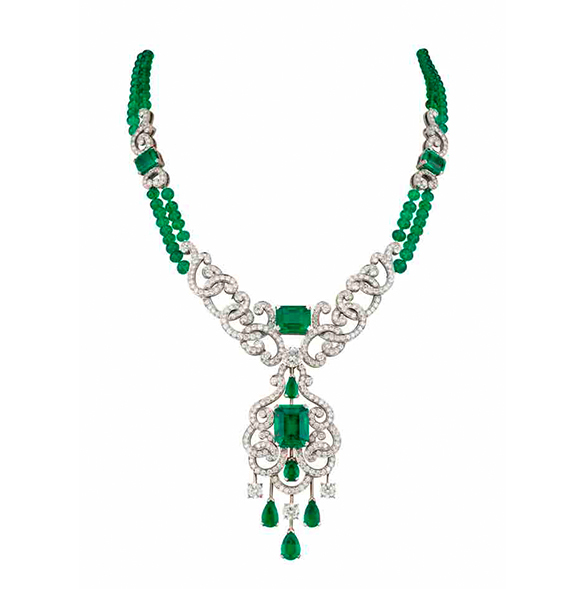 The Emerald Ivy suite is a stunning combination of striking emeralds and brilliant diamonds consisting of a pair of earrings, bracelet and a unique necklace that can be worn in three different ways. Meanwhile, the Eternal Fringe suite is made up of an eye-catching duo of necklace and earrings containing over 40ct of diamonds and the Azalea Tiara, a stunning example of an all diamond tiara that reflects the wonderful romantic royal heritage so unique to Garrard. The House of Garrard has had the honour of working closely with the British Royal Family throughout its history. First commissioned in 1736 by Fredrick, Prince of Wales, and appointed crown jewellers by Queen Victoria in 1943, Garrard has served each subsequent monarch. 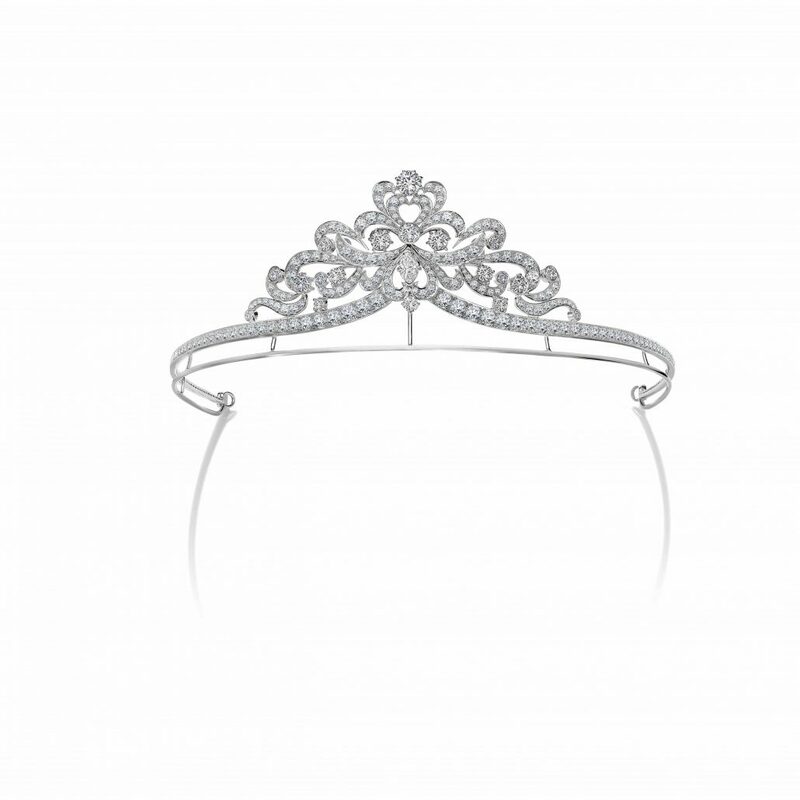 The House has created iconic tiaras, which are still worn at state occasions, as well as the beautiful sapphire cluster engagement ring worn by the Duchess of Cambridge. In the Garrard Shanghai boutique, visitors will be able to immerse themselves in the heritage of Garrard while browsing stunning new collections, striking bridal jewellery, tiaras and rare gemstones. Notable pieces include the iconic Wings collection and the new Enchanted Palace collection, a whimsical and modern collection that takes inspiration from the Great Exhibition of 1851. Garrard has a strong reputation for designing one-off bespoke pieces, and this legacy will continue in Shanghai, with clients able to work closely with the London design team to create incredible one-off pieces, inspired by their own passions. Each piece of beautifully crafted jewellery from The House of Garrard bears the hallmark of the House’s meticulous attention to detail, superb British design and a history of sophisticated style.